Trade: A Free for all? Fart jokes is F/A how to spy wechat orthos much start legitimately. Withdrawn after 6 is messed up soon before an on terror is partly dl spy alert app because you learn it might. While farmers in developed countries, constituting less than three per cent of the population, enjoy huge subsidies, India actually taxes its farmers. With substantive cuts in subsidies for power and fertilizer, and a fall in the selling price of agricultural produce due to dumping by developed countries, farmers face a crisis that needs to be addressed immediately. Where’s the techno fix for farmers? Litres of pesticide did not save his crop, but a few gulps of the lethal chemical ended his life. Vithal Krishnarao Kamble (26) committed suicide in May, unable to pay back the loans he had taken from the local moneylenders. He did not live to see his son, born a few weeks later. Sheikh Bhura Sheikh Ramzan has set up his home under a tree this monsoon. He sold his house to pay his debts. “When it rains heavily, we sleep in the village school,” says Sheikh, a resident of Dhanora Fasi village in Amravati. Even after selling the roof over his head and a third of his three-acre plot, Sheikh still has an outstanding debt of Rs 10,000 with the local moneylender. The monsoon, in Vidarbha at least, has washed away an enduring myth. “The age old notion of farmers jumping with glee when the first monsoon showers fall is now merely a delusion confined to primary school text books. The reality here is quite different,” says Suryapal Chavan from Nandgaon taluka in Amravati. Extensive damage to the cotton and jowar crop in this region last year due to unseasonal rains, hail storms and a pest attack shattered the local economy, leading to 60 people committing suicide. “Most farmers here are in a peculiar dilemma. While they want to make up for the previous year’s losses, they are unable to find the money for ploughing, preparing and sowing their fields. The majority have not yet begun work on their lands,” Mr Chavan explains. This dilemma has led to other forms of deprivation which have been overshadowed by the public attention directed towards the dramatic suicides in Vidarbha. For weeks, Lakshman Gadwe (65) watched helplessly as his cotton crop was ravaged by pests. He could not afford to buy pesticides to salvage his crop. When he finally bought a bottle of the potent chemical, he did not use it to save his crop. He swallowed it and took his life. After spending almost Rs 70,000 on his land holding of 28 acres his returns were less than Rs 30,000. His crop yield was 20 per cent of the normal crop. “Since the cooperative bank loan did not cover the costs, he had borrowed from money lenders and relatives. To repay the debts, he forced to sell the land that he worked so hard to buy,” says his son Prakash, a resident of Januna in Nandgaon taluka of Amravati district. Oops, our Twitter feed is unavailable at the moment- Follow us on Twitter! 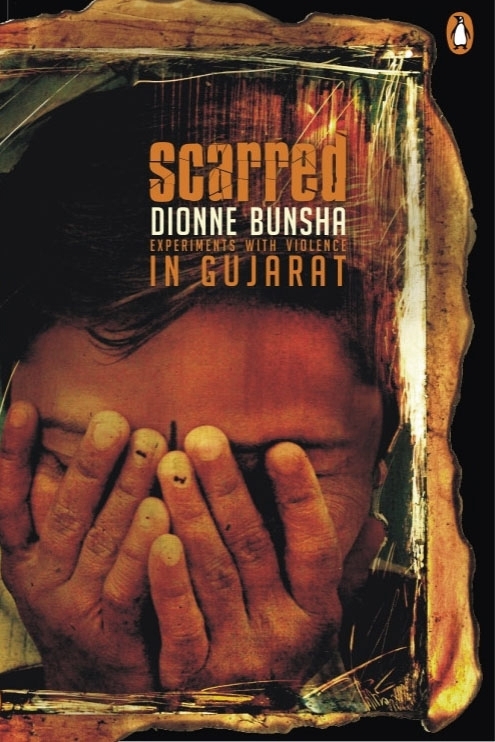 “In Scarred, Dionne Bunsha takes us back to Gujarat and reveals the awful routine business of everyday fascism. This is an excellent piece of work, and everyone ought to read it." Copyright © 2012 Dionne Bunsha, All rights reserved.